Plus…. Update on Guardians of the Galaxy Coaster and Remy’s Ratatouille Adventure, pools, restaurants, and main lobby details announced for Disney Riviera Resort, and more! We begin the February 2019 Edition of the WDW Radio Newswire with some exciting news on the transportation front. Installation of the gondola cars has commenced, and testing is officially underway on the Disney Skyliner Gondola System. The installation process began at Epcot’s International Gateway Station in mid January, and testing of the gondolas has been going on for a little over a week now. We also have a more comprehensive list of characters who will be appearing on the various gondola cars. Characters confirmed so far include Mickey Mouse, Minnie Mouse, Pluto, Goofy, Donald Duck, Daisy Duck, Chip n’ Dale, Horace Horsecollar, Clarabelle Cow and Pete. In addition, you’ll also find characters from animated classics like Beauty and the Beast, Snow White and the Seven Dwarfs, and Peter Pan. Newer films will also be represented with characters from Frozen, Lilo & Stitch, Moana, Wreck-It Ralph, the Princess and the Frog, and Zootopia. Pixar pals will also be in the mix with characters featured from Toy Story, Monsters Inc., Finding Nemo/Dory, Ratatouille, and Coco. There will even be a few attraction characters in the mix in the form of Hitchhiking Ghosts and swashbuckling Pirates! The testing process is a big step forward, but there’s still plenty of work to be done. If plans stay on track, the Disney Skyliner should officially take flight by the end of 2019. Our second Epcot update is close by, as it’s time to venture over to the future site of the Space Restaurant. The restaurant is currently under construction in the area between Mission: SPACE and Test Track. Exterior work on the building’s frame is really starting to come along, as vertical construction has been underway for several months now. Estimates have the Space Restaurant open for business late this year, and when it does, it will provide a dining experience unlike anything else found on property. A 250-foot projection screen will wrap around the restaurant, fully transporting your senses into the far reaches of space. It will feel as if your dining among the cosmos! Time to park-hop over to Magic Kingdom Park now, as it’s time to check on the progress of the TRON Coaster. The new attraction is currently under construction in Tomorrowland between Space Mountain and the Tomorrowland Speedway. Clearing work has been ongoing at the site for a little over a year now, and there’s finally a major piece of news to report. About a week ago, Disney officially filed the necessary permits to begin the track construction. Work on this should be immanent, with Coastal Steel Inc. set to carry out the construction and installation of the rollercoaster track. The TRON Coaster is still a couple years away from completion, as estimates have it set to open in “Spring 2021,” just in time for Walt Disney World Resort’s 50th Anniversary Celebration! Time to park-hop over to Disney’s Hollywood Studios now, as there’s news to report on the refurbishment front. Beauty and the Beast – Live on Stage is set to see some downtime later this month, as the popular show is scheduled to be closed beginning Sunday, February 24. The refurb will be a quick one, as the show is set to re-open two weeks later on Sunday, March 10. Time to travel outside of the parks and into the Resorts now, as there’s a pair of newsbits to address. First up is another bit of refurbishment news, as we venture over to the shores of Disney’s Yacht and Beach Club Resort. Beaches and Cream is set for a lengthy closure later this year beginning in early August. The refurb is scheduled to last several months, with the location set to resume operations sometime in December. During this closure the nearby arcade will be removed, and the space made available by its removal will be used to expand Beaches and Cream’s dining space. The refurb will also result in the temporary closure of the Beaches and Cream “to-go” window, however a temporary ice cream location will be set up at the resort to accommodate Guests during the refurbishment. Our final bit of news today comes courtesy of Disney Riviera Resort. New details have emerged on the restaurants, pools, and main lobby area set to make up the landscape around the Resort. Let’s first take a look at the main lobby, which will draw its architectural inspiration from Europe and the Mediterranean coastline. From sprawling archways to modern and classic 20th Century furnishings, you’ll find yourself engulfed in European elegance reminiscent of what Walt and Lilly experienced on their travels to the region. Inside the main lobby you’ll also find Le Petit Cafè, which will feature an array of freshly brewed coffees and also double as a wine bar. The location will also serve up some delicious sweets and snacks as well. While we’re on the topic of dining, let’s take a look at the crown jewel: Topolino’s Terrace – Flavors of the Riviera. Topolino just happens to be the Italian name for Mickey Mouse, and this signature restaurant is certainly the “Big Cheese” at the resort, and perhaps may become the #1 dining location on property! Nestled high atop the resort’s rooftop, this dining location will provide picturesque views of the nighttime entertainment at both Epcot and Disney’s Hollywood Studios. The menu will be comprised of French and Italian cuisines, and you’ll be able to watch your meal be prepared right before your eyes at the expo kitchen or wood burning grill. You’ll also find a vast array of Mediterranean wines to indulge your palate. In addition, Topolino’s Terrace will also serve up a Riviera-inspired Character Breakfast every morning! But that’s not all, as Disney Riviera Resort will also have a quick-service spot. Primo Piatto will offer up quick-service meals throughout the morning, afternoon, and night, and will also feature a wide variety of grab-n-go items to choose from. You’ll also find European and Mediterranean-inspired dishes and drinks available poolside at Bar Riva. While we’re on the subject of pools, there will be two pools at the resort. Beau Soleil Pool will serve as the resort’s quiet pool, while Riviera Pool will be the family-friendly feature pool, and will come complete with a spacious water slide that will snake its way around a massive column tower! Disney Riviera Resort is scheduled to open later this year as the newest Disney Vacation Club Resort at WDW. 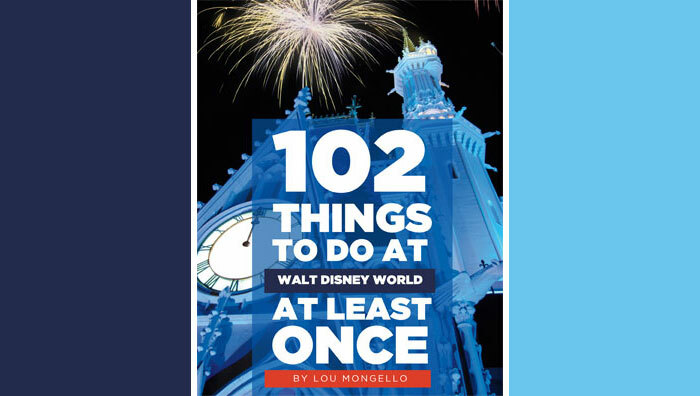 Well, that’s gonna do it for the February 2019 Edition of the WDW Radio Newswire. But I’ll be back again next month with lots more news, notes, and happenings from Walt’s beloved Florida Project! 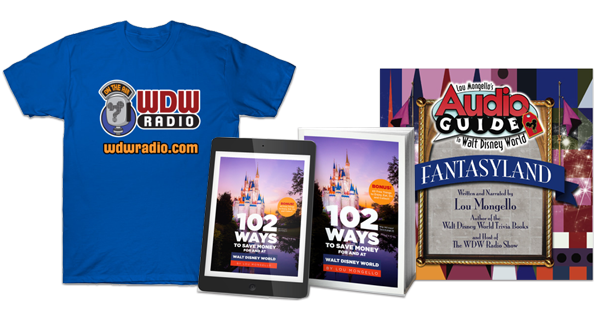 To learn more about Don and read his recent editions of the WDW Radio Newswire, visit his author page by clicking the link on his name at the top of this post.